I have some amazingly good news for you. Your best clients – the ones that rave about how much they love your services or products – are just dying to refer you to everyone in their circle. They just need a little push from you in the right direction. In my last blog post, I explained how important it was to keep an eye on your prospects and follow up consistently as part of your business review. While prospects require a lot of attention and effort, too many fempreneurs focus exclusively on trying to warm up cooling prospects without realizing that their greatest referral sources might be right under their nose. As part of your business review, take a look at your current client base and pick out your most trusted and loyal clients. Think of these people as your own personal public relations team – your crew– who are each ready to tell everyone they know about how much they enjoy your services and projects. This may sound a little crazy, but it’s not. Think about the last time you saw a truly great movie. Did you keep it to yourself, or did you force your spouse to see it again with you, post about it on Facebook, tell all your friends that they MUST go see it, etc…? Not only do we all love talking about the products and services we like (ex. the great new taco stand we discovered, a new brand of shampoo that makes our hair shine, a cheap car wash that does an amazing job, etc…), but we’re also highly persuaded by the recommendations of our friends and family. Study after study has consistently found that a recommendation from a trusted person in our circle is by far the best form of marketing. If you can harness the power of recommendations from your most loyal clients, think about how many hot prospects they could send your way. How do you go about getting your clients to recommend you? Just ask. Give each of them a call to follow up on how they’ve been enjoying your service or product. If they can’t stop telling you how great you are, ask them “do you know anyone who could benefit from my /[service]?” Also make sure to include a profile of your ideal client, whether you’re looking for clients with a specific problem, income level, or professional background. You may also want to mention who your ideal referral sources are. For instance, if you are a remodeling contractor, your ideal client will probably be an older couple at a high income bracket, but you might also seek to connect with real estate agents who can become great referral sources. /[service]?”, you are positioning your request in way so that your client can feel that they are helping their friends and contacts by recommending you. It’s a win-win situation. Lastly, don’t forget to pay it forward. If you ask your clients for referrals, make sure you put in an effort to refer the professionals in your life who do a stellar job. 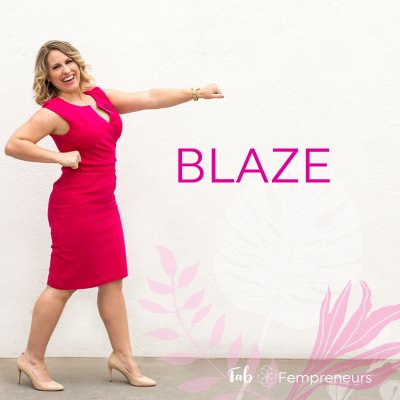 Feeling a little lost, overwhelmed, or ready to take your business to the next level? Consider setting up a FREE Discovery Coaching Session to see how coaching can help you start getting better results now.